All ravers, attention please! As we are sure you already know, these tickets go pretty quickly. As of December 2nd, they were on sale and flying off the shelves. 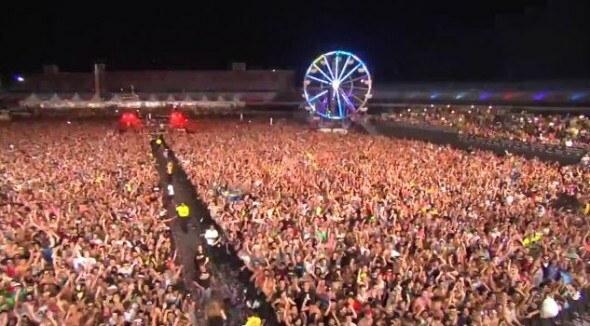 If you are into partying, and have not heard of EDC, then we truly feel sorry for you. EDC is not something that can be explained in just one article, or by a person sharing their experience, or even that a video can do. EDC is something that you need to experience first person, an event that harnesses an entire lifestyle, into a 3 day period at the Las Vegas Motor Speedway. Electronic music has taken the world by storm in recent years, and EDC is the ultimate experience that encompasses all of this in one area in the United States, and is regarded as one of the best in the world. 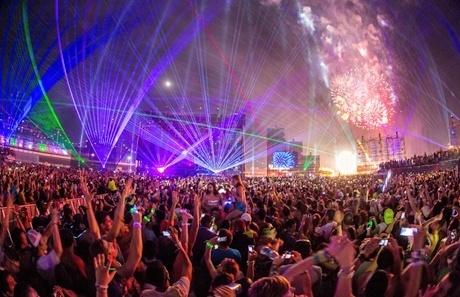 3 days of EDM and people that live for it is something every person should experience. Although the headliners have not been announced yet, people are scrambling to buy tickets before they sell out, or get too expensive. Why go with the VIP rage experience you ask? Well you get a separate entrance to make it a quicker process (which anyone that has been to EDC knows that can be a huge downfall, the lines!). Also, viewing decks overlooking multiple stages, full cash bars located on the VIP decks and VIP lounge areas, separate restroom facilities, access to exclusive VIP areas, Insomniac VIP lanyard & badge, and a VIP Ferris Wheel. The price tag is well worth it, as everyone wants to be with the VIPs at one of the largest music festivals in the world! You do have to be 21 though in order to get a VIP ticket. There are shuttles you can book to take you to and from the craziest party of the summer. The DJs play all day and night, and if for some psychotic reason you get sick of the non-stop party and music and dancing, you are in LAS VEGAS. Go gamble a bit, rest up, and get back at it. You can also buy ticket packages that include your hotel in airfare, if you are into that sort of thing. Why wouldn’t you go to the best festival of the year? With more big name DJs performing than you could ever imagine, more rides and lights than necessary, and more people ready to rave their faces to the floor than you have ever seen in your life, make it a priority to buy your tickets, and get your friends to do it as well. You seriously won’t regret this trip of the year!